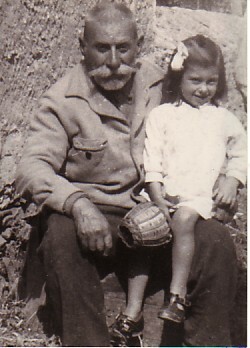 Above: With my paternal grandfather, Eustratios Sentas. 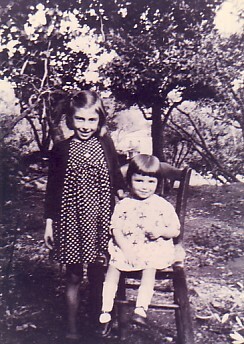 Above Middle: With my sister, Maria. 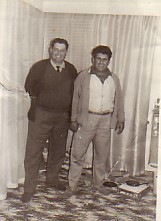 Above Right: My father, Ermolaos, withhis brother, Nikolaos. Above: With my mother, Sophia, outside our family business, Castle Hill Cafe. My parents had this business from the late 1950's until the mid- 1960's. 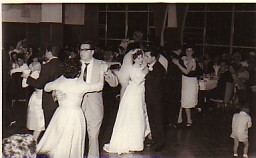 Above Right: A wedding photograph (1963). Dancing with my husband, Apostolos (Paul) Vasiliou. 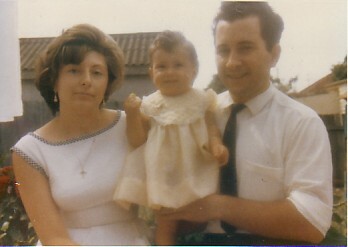 Above: With my husband, Paul, and our daughter, Mersini. 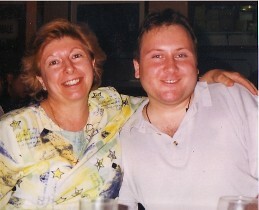 Above Right: With my son, Marinos. Above: Mersini, with her family: husband, Vasili Zoioglou; and her children, Ekaterina (Catherine)and Apostolis (Pablo).